Brace yourself for Radhika Apte’s recent photoshoot might blow your mind! Before this much talented actress shines on the silver screen with her deglam look in Akshay Kumar’s Padman, Radhika has sizzled as the cover girl for Cosmopolitan India. The latest issue of the famous fashion and lifestyle magazine sees Radhika pouring her heart out and wishing what future should be like! This Badlapur actress who has had many such fiery photoshoots in her kitty so far, gets another feather in her hat, that’s equally mind boggling. With conventional yet bold silhouettes, Radhika shines bright in her new set of pictures and needless to say, we are already drooling over her beauty. For the ones who expected Ms Apte to go all bold like any of her other photoshoots in the past, the recent one might be a disappointment. She ditches all the usual poses and tries her hand at being different. 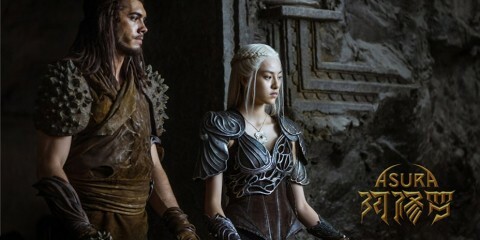 We won’t say it’s best from her so far but it’s definitely riveting and helps her to stand out. While her strong on screen acting talent pulls audiences towards the big screen, her off-screen style shenanigans too have struck a chord with the fashion admirers. Fitting in one style sheet after another, Radhika is on a roll to put her best foot forward. A poster girl for all the dusky women out there, Radhika has always strive hard to make an impact on the mind of others and make them fall for her. A quintessential outsider, Radhika’s claim to fame is her acting talent and the way she carries herself with all the spark and immense confidence. Radhika might be a new talent on the block but she certainly has her style game on point that can be best described as unflinching, bold and innately stylish. Her personal sense of style is simple, understated and classic which is hard to get these days. 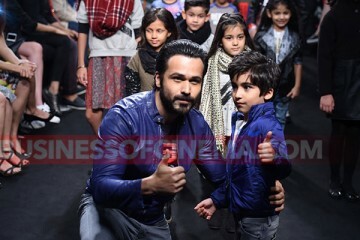 LFW 2016: Emraan Hashmi Walking The Ramp With His Showstopper Son Is Too Cute To Miss!